Temper chocolate, proof bread dough, make fondue, soups, yogurts and more with the KitchenAid Precise Heat Mixing Bowl. (Designed exclusively for use with KitchenAid Household Stand Mixer all 4.5 Quart or larger tilt-head models, or as a standalone unit) For everything you want to make. 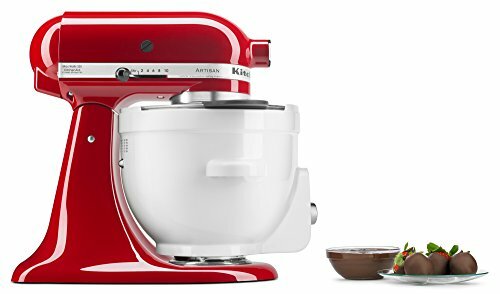 KitchenAid. Precision Temperature Technology to select from 70 degrees to 220 degrees Fahrenheit, in 2 degree increments. Digital Display with Timer Shows temperature and timer for up to 10 hours. DW safe cooking bowl & lid. Wipe base clean with cloth. Accessories hand wash only.